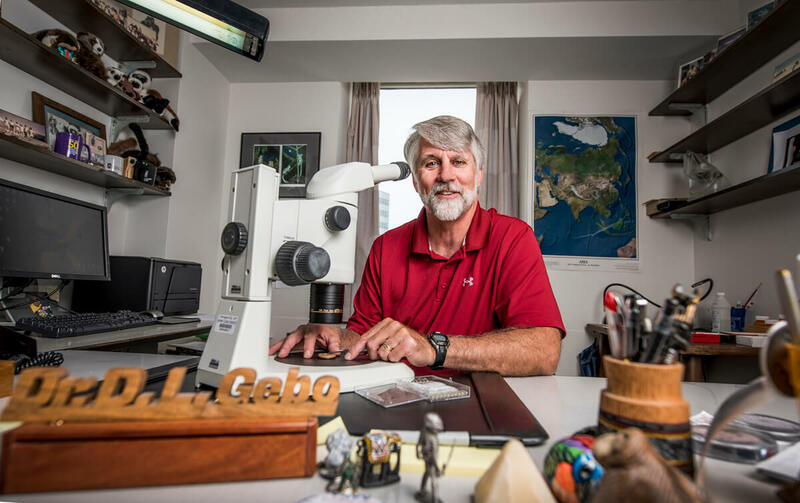 At Northern Illinois University, Dan Gebo opens a cabinet and pulls out a drawer full of thin plastic cases filled with clear gelatin capsules. 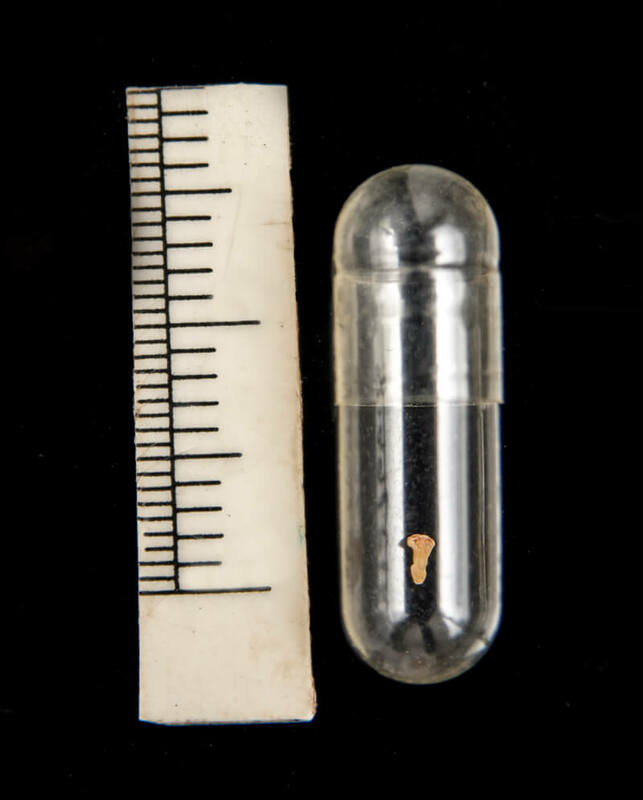 Inside each numbered capsule is a tiny fossil—some are so small they rival the diminutive size of a mustard seed. It’s hard to imagine that anyone would be able to recognize these flecks as fossils, much less link them to an ancient world that was very different from our own, yet has quite a bit to do with us—or the evolution of us. 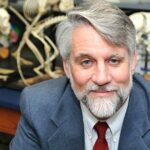 The nearly 500 finger and toe bones belonged to tiny early primates—some half the size of a mouse. During the mid-Eocene period, about 45 million years ago, they lived in tree canopies and fed on fruit and insects in a tropical rainforest in what is now China. 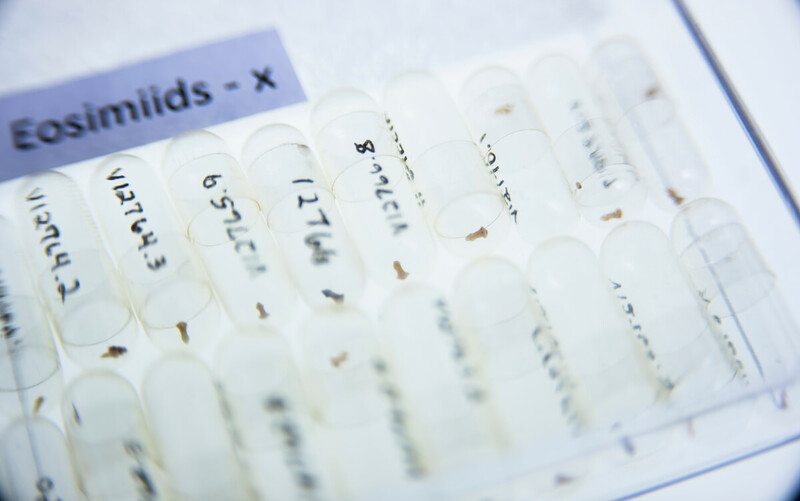 The tiny finger and toe fossils are kept in clear gelatin capsules. 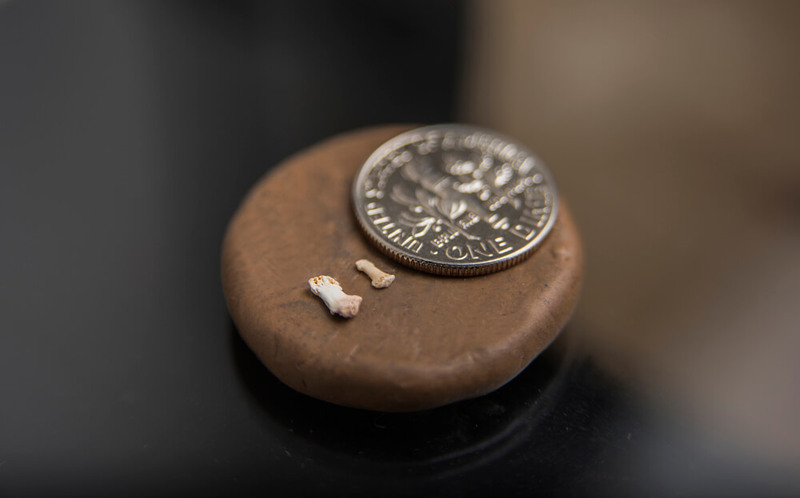 “The new study provides further evidence that early anthropoids were minuscule creatures, the size of a mouse or smaller,” Gebo said. Co-author Christopher Beard, a paleontologist at the University of Kansas in Lawrence who has been working on Shanghuang fossils for 25 years, said the limestone in the quarry is of Triassic age—from the very beginning of the Age of Dinosaurs some 220 million years ago. Owing to a subsequent phase of erosion, the limestone developed large fissures containing fossil-rich sediments dating to the middle Eocene, after dinosaurs went extinct. 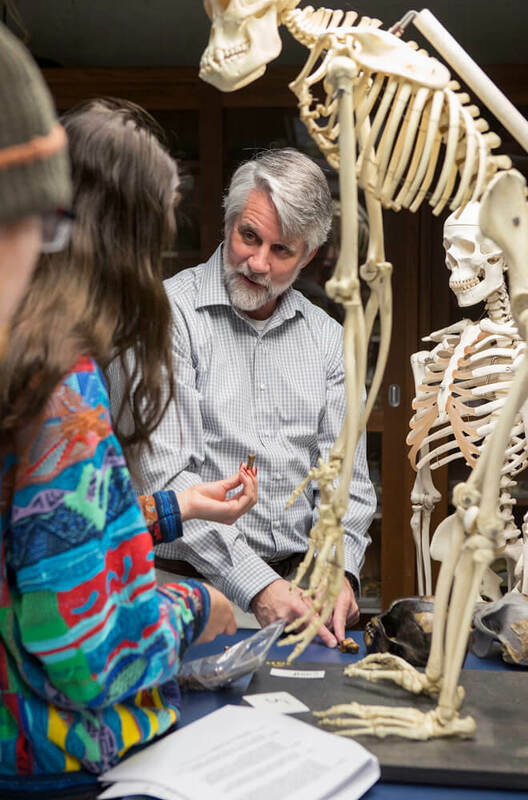 A veteran professor at NIU, Dan Gebo teaches introductory and advanced courses in primate and human evolution and anatomy. The fossils that endured the millennia may be small but still have a story to tell. 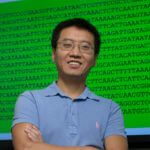 In addition to Gebo and Beard, the research team publishing in the Journal of Human Evolution includes Marian Dagosto, a professor in the Cell and Molecular Biology Department at Northwestern University’s Feinberg School of Medicine, and professor Xijun Ni of the Chinese Academy of Science’s Institute of Vertebrate Paleontology and Paleoanthropology. Processed and identified fossils will be returned to the Chinese institute.